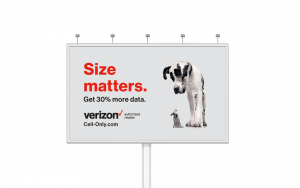 CellOnly wanted to promote a new plan that offered 30% more data in a fun, memorable way. 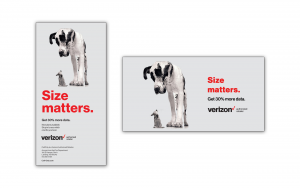 When the call came to do something that stands out from the crowd, we got the message loud and clear and came up with a campaign that vibrated with creativity. 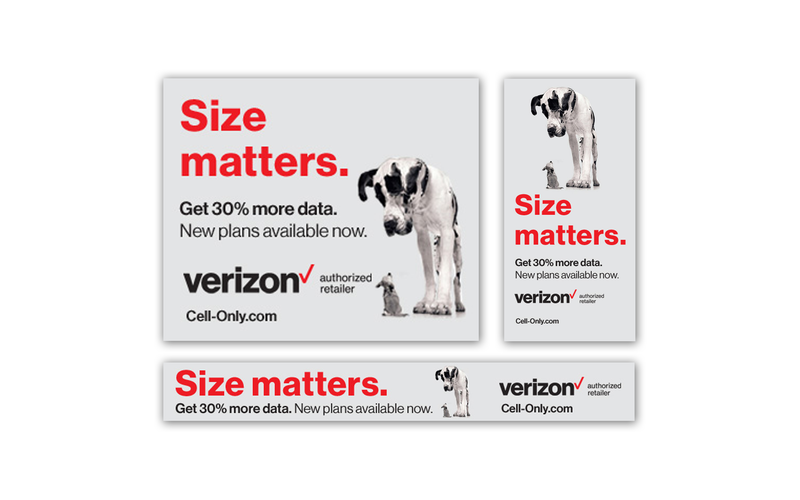 The bold statement “Size matters” was paired with the adorable image of two dogs of disparate body types staring at each other, creating a humorous play on words and highlighting the special offer from the Verizon authorized retailer. This concept was used in print ads, billboards, digital ads, blog posts and on Facebook. 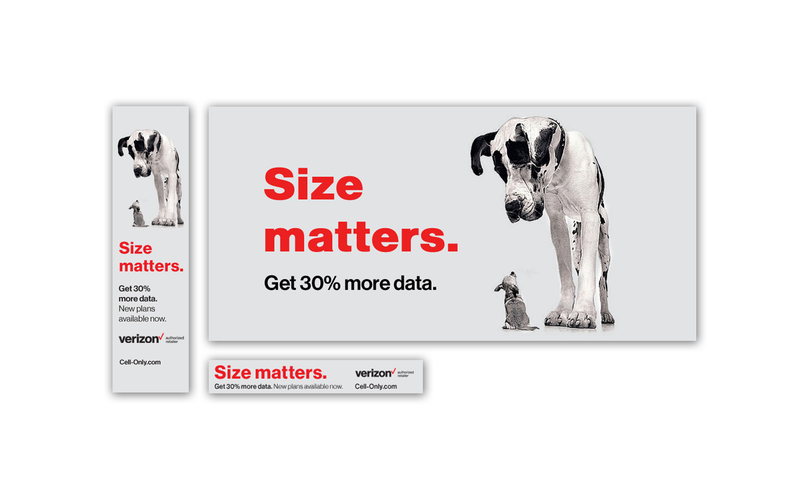 The reception was great, and the campaign successfully dialed in on the target market. The public heard the message loud and clear and made the connection.